Beach Birthday Party- Each cabaret table had a margarita glass filled with sand and shells and a lit votive. 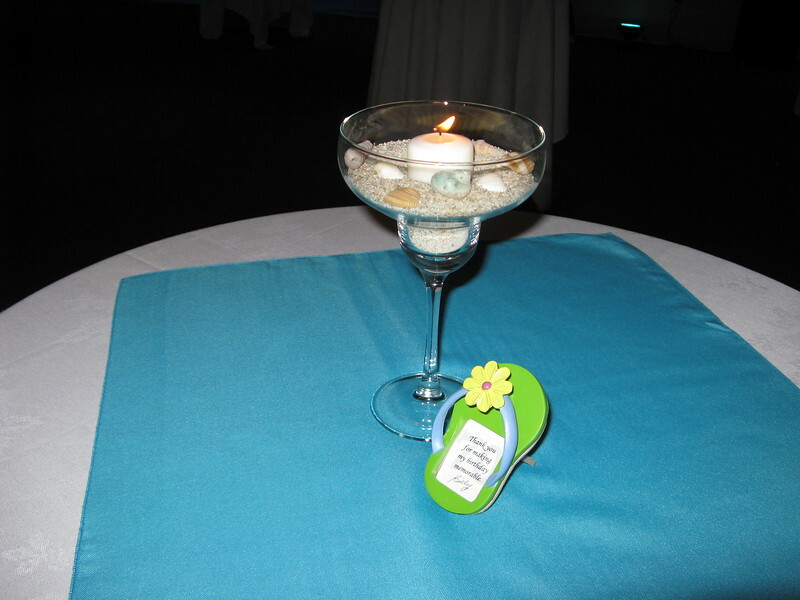 The adorable flip flops were favors for each guest. There was a message thanking the guests for attending, but a picture could be substituted.